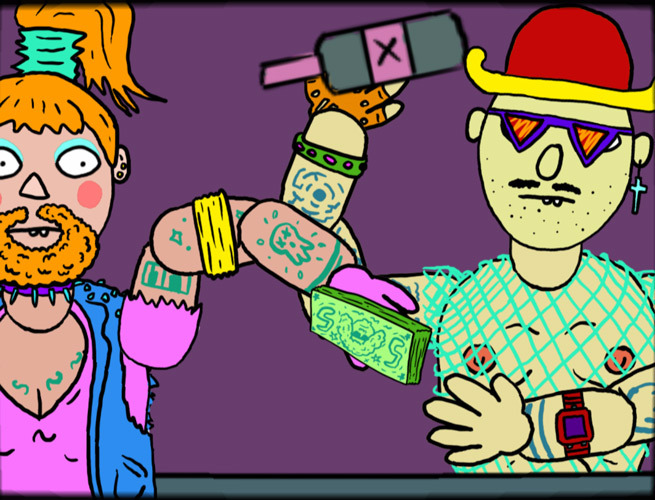 "An absolutely brilliant but all too short and incredibly funny and surreal game!" 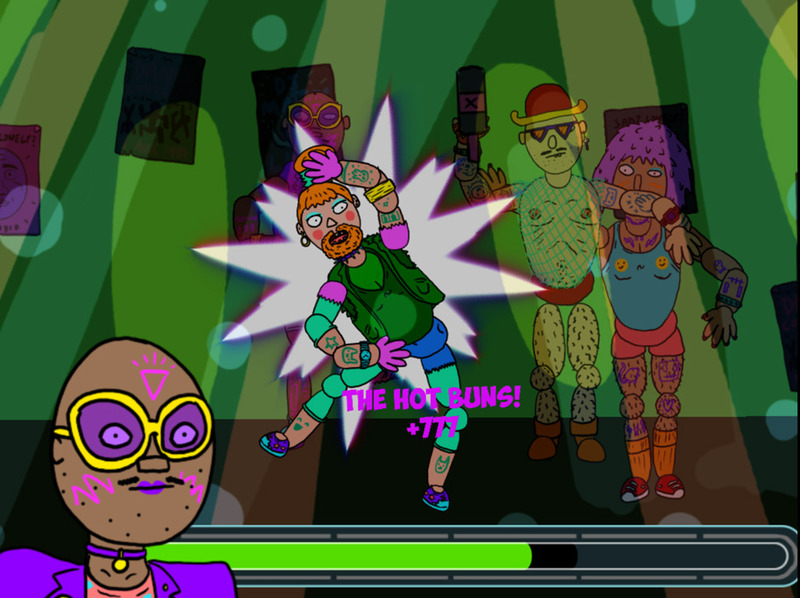 Dress to Express Dancing Success is the shortest yet may be one of the most brilliant games I have ever had the pleasure of playing. 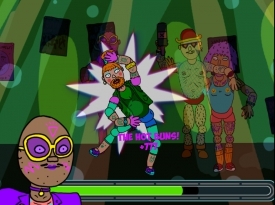 You play as some sort of transvestite looking man in women’s clothes and make up, on your way to the hottest night club in town where you are hoping to dance the night away, impress your peers and maybe just maybe meet the love of your life. There’s something about Dress to Express Dancing Success that’s just so likeable and it’s very difficult to put your finger on it whether it’s the simple yet cartoon art and graphics or the fact you seem to like this character from the moment the game starts or if it’s just the overall silliness of the whole thing, but the only problem with this game is that it’s all over so quickly although you get a few options during the game which can lead to two different endings but the happy ending is uplifting and it’s very hard not to laugh and smile whilst playing this game. This game should provide anyone with a sense of humor with a few minutes of fun and it’s one of those games that even once completed (which takes no time at all) you will want to come back to and play again. 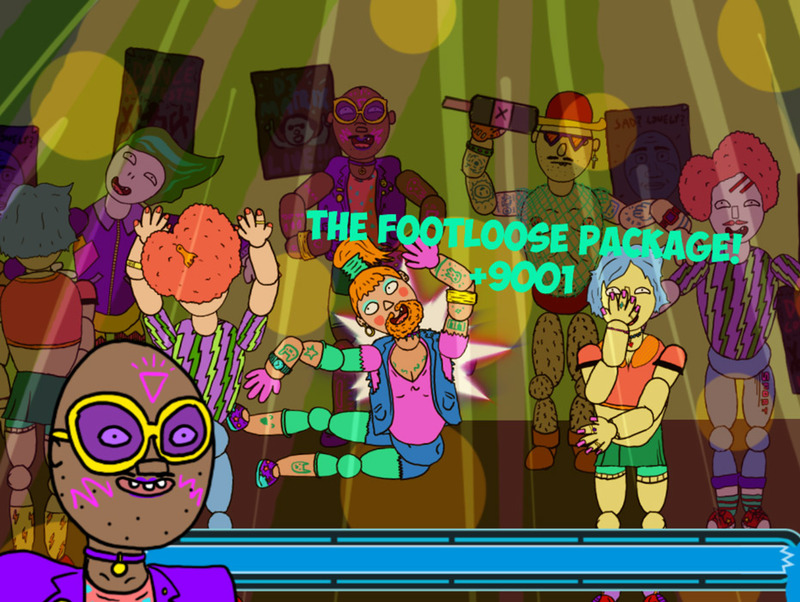 Dress to Express Dancing Success is one of the shortest and funniest free games around at the moment but is something that should be downloaded by everyone! You can download Dress to Express Dancing Success here for free.